With four independent electric engines at its corners, each Survival Craft is highly manoeuvrable. The Danish Maritime Authority (DMA) has officially approved the LifeCraft Survival Craft by Viking as a Novel Life-Saving Appliance. The device now meets the requirements for replacing conventional lifeboats on passenger ships and advancing progress toward greater safety in large-scale ship evacuation emergencies. The approval, awarded on March 8, 2019, is the culmination of a long development and approval process including heavy weather trials in November 2018. Viking claims that the DMA approval marks the first time a truly ‘Novel’ Lifesaving Appliance (LSA) has been approved anywhere in the world. Prior to the Viking LifeCraft Survival Craft approval, maritime safety products and systems that have achieved Novel Life-Saving Appliance approvals have been adaptations or variations of conventional life-saving appliances. Viking LifeCraft System, on the other hand, is an entirely novel and innovative concept. 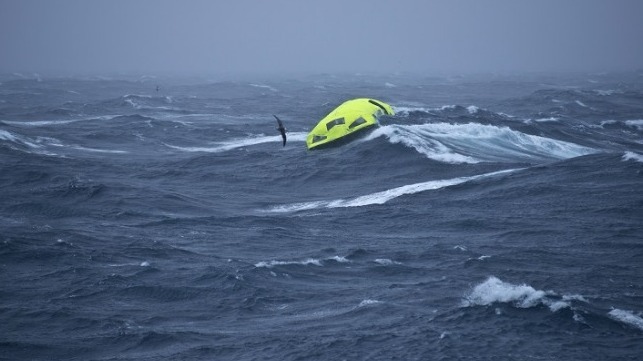 The solution comprises two main elements: four inflatable Viking LifeCraft survival craft, each with a capacity of 203 persons, giving 812 in total, and a fully self-contained stowage and launching appliance either placed on deck or built into the ship’s side. With four independent electric engines at its corners, each Survival Craft is highly manoeuvrable. 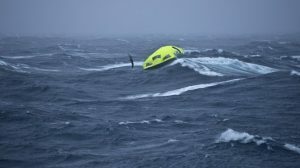 Viking says that its ability to rapidly turn 360 degrees on the spot is unmatched by conventional motor-propelled survival craft, and is a critical feature for safely clearing a ship’s side in an emergency evacuation. The Danish Maritime Authority Senior Ship Surveyor, Kasper Raunskov Rasmussen, sees the Survival Craft’s approval as solid proof that Danish-based maritime companies have innovative contributions to make across a wide range of aspects, not the least of which are safety and sustainability. “The Danish Maritime Authority has been engaged in the approval of the LifeCraft since the very beginning, and we have been in close contact with Viking and all involved parties throughout the entire approval process. We have, in particular, worked at ensuring the required and sufficient safety level and also overseen the fulfillment of the approval process for a novel life-saving appliance. However, it isn’t just the result of many years of work,” he says.